The DMCA (Digital Millennium Copyright Act) is a law that is implemented from two 1996 treaties signed into effect by the infamous and great President Clinton, on Oct. 28, 1998. The DMCA is comprised of two WIPO (World Intellectual Property Organization) treaties. The DMCA treaty is divvied into five titles that sets forth coverage for various forms of intellectual copyrighting coverage, like title II clause that limits the liability of online service providers in the event of copyright infringement. The DMCA affects individuals that have utilized devices and/or services to infringe upon copyrighted material. Copybotting is a form of device that encroaches on the content creators copyrights. Utilizing cheat codes to acquire linden dollars and other services and products of service is also encroachment and violation, protecting the content creator's work. Penalties for violating the DMCA varies from case to case, making the terms of punishment case-to-case in severity, but one factor remains the same across the board, and that is the losing party must remove and desist the manufacturing, distribution, sales, etc. of the item(s) or service(s) in question. The losing party may also be requested to pay the victor restitution, and may be allowed to take the losing party to court to sue for other effects caused by the case, i.e. emotional distress, etc. 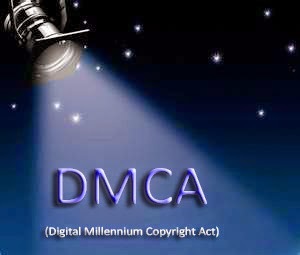 Matters are of DMCA can be mitigated in court, administrative law agencies. In Admin law agencies, both parties can mediate the cause and effects, and settle upon a given judgment provided by the presiding legal body. These case are finalized when both parties settle upon the course of restitution and justice. Should either party disagree upon the measures decided by the presiding legal body, the case is decided to be inconclusive, and the case can be moved to an in-court case with a judge. In-court cases can be very costly with legal fees for lawyers, etc. ; however, the winning party can request the cost be covered as part of their winnings declaration. If you suspect someone of DMCA violation, filing is typically done with the proper authorities to commence the investigation of the filing claim, as with all cases. For example, if one suspects another to have stolen the product of one’s original idea on Second Life, one would propose a DMCA filing claim with the Linden Labs Corporation. At that point, LL will begin its process of investigation, discontinuing the sale of the accused’s products and/or service. If LL finds that this is a legitimate case that needs be resolved beyond there realm of legal handling, then a formal mitigation is necessary, with mitigation being indefinite in length. Although, filing can seem appealing to file against a competitor, it is not a route one should use in this game of thrones, unless one is willing to reap the consequences. Competition is healthy as it challenges a creator to better themselves to appeal to an advancing audience of shoppers. Competition should be viewed a not a threat to one’s wallet, but a challenge to not get complacent and to also tap into sources outside of the box to improve. To unfairly use the law as a way to eliminate competitors, in conjunction with possible harassment and threats, this is best left to children and their playground vices.